Amidst this myriad of challenges facing modern businesses, one of the key challenges is to unlock value creation by finding the right balance of technology, talent and human connection. The current high levels of graduate unemployment is one sure sign that this balance remains out of kilter. Current and future participants in the labour market must therefore, of necessity, possess in-demand skills and importantly, a large appetite and inclination to learn new skills in order to become and stay employable in a meaningful and sustained manner throughout their careers. Helping the workforce to adapt to this fast-changing world of work is the defining labour market challenge of our time. Given the enormous responsibility that higher education thus carries in this context, responsible and responsive leadership is required from academic leaders and their institutions to build an enduring link between skills development, employability and enterprise development. As a consequence, preparing students with a set of disciplinary skills in a particular degree, is, at best, grossly inadequate in this context. Specifically, there is a serious mismatch and divergence in what employers are seeking in the candidates in addition to qualifications and the actual skills candidates have. This issue of employability skills is particularly important for those who are already in low-productivity jobs in the workforce or students who have completed their education but are unable to get a job. Improving the supply of educated people for employability is more than just qualifications. A crucial element for business and educational leaders, therefore, is to align workplace needs with higher education preparation systems to promote student success in a career after graduation, rather than simply focusing on traditional academic achievements or grades. Attending a higher education institution and becoming career-ready often requires more from students than simply performing well academically. Higher educational institutions across the world are being called upon to better prepare learners with 21st century employability skills. Within this perspective, student employability is high on the agenda of higher education institutions and yet they have been criticised for not adequately developing student employability skills. Employers want graduates to possess knowledge, intellect, a willingness to learn, self- management skills, good communicational and interpersonal skills, and the ability to be a team player. As higher education institutions seek to improve graduate employability, they have also placed importance on the development of the next generation of entrepreneurs. While the debate continues on the efficacy of entrepreneurship education, the literature has acknowledged employability and entrepreneurialism as complimentary skills. For example, in a competitive job market, the importance of an entrepreneurial spirit, flexibility, and an eagerness to achieve results cannot be overstressed. An entrepreneurial attitude has been argued to aid job searching, preparing for the market, and presenting one’s abilities. It often involves the identification of opportunities and taking action to make things happen. However, the way to best encourage both entrepreneurialism and employability in students is still under debate and linkages between specific aspects of entrepreneurialism and employability have not yet been fully identified. Generally, employability can be defined as “a set of skills, knowledge, and personal attributes that make an individual more likely to secure and be successful in their chosen occupation to the benefit of themselves, the workforce, and the economy.” This ‘supply-side’ definition of employability has been expanded upon in some employment policy literature to include ‘demand side,’ external aspects such as labour market conditions. While it is acknowledged that there is a theoretical working definition of ‘employability’, it must be acknowledged that an employer’s choices when hiring an individual are influenced by more than these factors. Employers’ perceptions of potential employees with the same qualifications vary, depending on the employers’ traditions, social biases, and the existence of nepotism, which may determine an employer’s hiring choice more than do qualifications. Education, therefore acts as an indicator or signal of abilities and skills. Individuals invest time and money in education in order to ‘signal’ to employers that they possess the requisite skills, lessening the perceived risk an employer feels during the hiring process. Within this context, education itself is a proxy for ability, rather than a process through which ability is developed. As a result, education is a source of human capital development, as it provides the opportunity for students to gain marketable skills and increase their job-relevant abilities. The educated individual is more skilled and thus more attractive and more successful in the labour market. A recent survey of employers in the revealed that graduates entering the workforce are expected to have developed both the competences encapsulated in their degree programme and a range of soft skills, such as team-working, communication, critical thinking, problem solving and leadership. Consequently, this new impetus in higher education institutions has led to the development of strategies directed at enhancing graduates’ employability skills, including soft skills, introducing new courses, modifying existing courses, and offering work experience opportunities. Another priority of higher education in the twenty-first century is developing graduates who will become entrepreneurs, as entrepreneurship is perceived as a key element in increasing a country’s competitiveness and stimulating growth. The development of entrepreneurship as an academic subject has seen considerable growth since the turn of the century, which has ushered in changes in overall employment structure. Economic realities such as downsizing, labour-force shifts, and restructuring mean that the path from higher education to sustainable employment is less direct than in previous years. Graduates may not be adequately equipped if they are armed only with employment skills to take on a shifting world in which entrepreneurial start-ups are considered a key factor of modern economic growth. Accordingly, entrepreneurship is defined as the application of creative ideas and innovations to practical situations. This is a generic concept that can be applied across all areas of education. Entrepreneurship education therefore is concerned with supporting learners to develop a skill set that enables them to look beyond their disciplinary expertise, identify connections across commerce and culture, and effectively pursue unique and innovative opportunities. Such skills are applicable to any employment situation or occupational sector and those necessary to build a successful enterprise. Research has shown that enterprising students and graduates are generally regarded as being more employable than those without enterprise skills. Since many of the enterprise skills can be regarded as entrepreneurial behaviours, this would suggest that students with a higher entrepreneurial spirit would be more enterprising, more employable, and consequently more likely to obtain higher level graduate employment. There is a need to create a shared job framework that brings a much-needed alignment between supply and demand. A national framework and infrastructure for skill development that aligns occupation codes, entry gate assessment and exit gate certification is needed. This framework should allow real-time interfacing between the demand and supply side of the labour markets to not only enable better matching but allow changes to curriculum, job descriptions, job posting and assessments early enough to matter. The solution for unemployment lies, to a large extent, in the creation of institutions which innovate at the intersection of the 3Es, namely, education, employability and entrepreneurship. Policy makers, parents, employers and students are looking for some- thing that is part higher education, part skill centre and part employment exchange. Like all innovations, creating such an institution is difficult, takes time and needs resources. But this is not just noble; it is necessary. Higher education institutions are obliged to respond to the critical challenge of youth unemployment and preparing students for employability is an imperative that cannot be denied. Higher education institutions will need to continually renew and adapt their strategies so that they can continue to work toward meaningful educational outcomes and impact on one hand, whilst radically revising and developing curricula for a different and uncertain future on the other. This will inevitably steer academic leaders into unchartered waters where the need to drive innovation, disrupt low-impact practices and forge new strategies will be strong whilst managing short term goals, labour market demands and student needs. Undoubtedly, the countering forces will be strong, and the desire for protectionism, conformity to old norms of predictability and familiarity will cause significant tensions. However, given the defining challenges of our time, the global business environment, labour markets and indeed students will pin their hopes on academia that must have brave leaders with bold ideas. Leaders need to ensure that the link between Education, Employability and Entrepreneurship is stronger than ever. 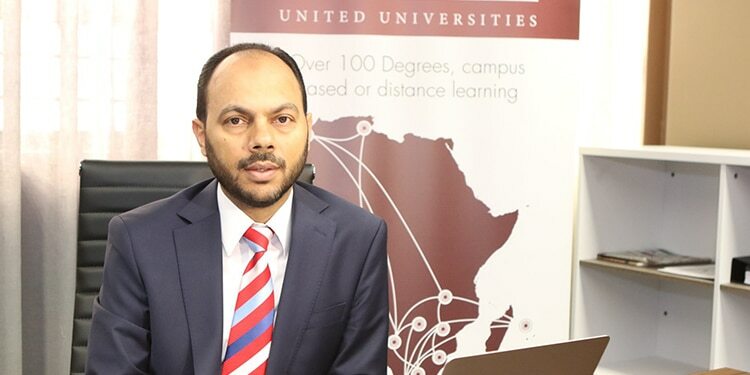 Dr Ahmed Shaikh is a Senior Academic and Managing Director at REGENT Business School and writes in his personal capacity.